Sometimes, the world just needs a rebel. What would have happened if Robin Hood just decided that he was going to obey the Sheriff of Nottingham's unfair rules and taxes? Sherwood probably would have been torn down to put up a parking lot or something (history isn't our strong suit). One thing is for sure, we likely would not be talking about Robin Hood now, hundreds of years later, now would we? That is precisely why we think you should embrace your rebellious nature this year and become the outlaw hero that your generation so desperately needs. 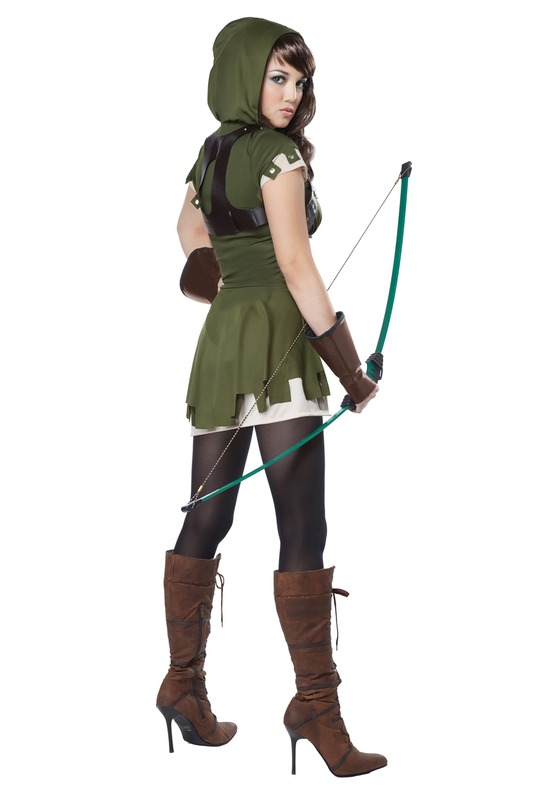 And this Women’s Miss Robin Hood Costume is the perfect look to give you a leg up on your act of selfless heroism! You don’t need to steal this eye-catching costume from a rich pal just to give back to your people; pick up one of your own and let its modern spin on the classic Robin Hood character become an inspiration for the masses. With its combination of Renaissance classicism, an earthy-rich forest green hue, and (of course) the timelessness of a really cute skirt, this costume offers up the best of all worlds. Talk about a bullseye! Just make sure you grab a bow and arrow accessory and brush up on those actual archery skills before taking on this role, because the good people of Sherwood will be counting on you to stop the Sheriff of Nottingham!